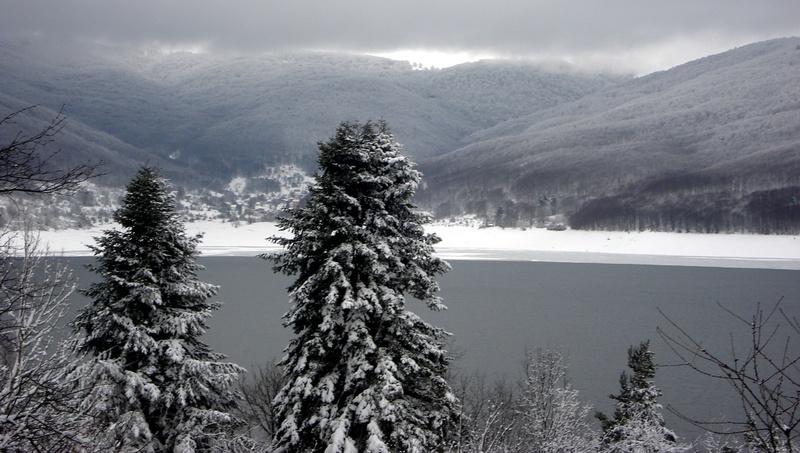 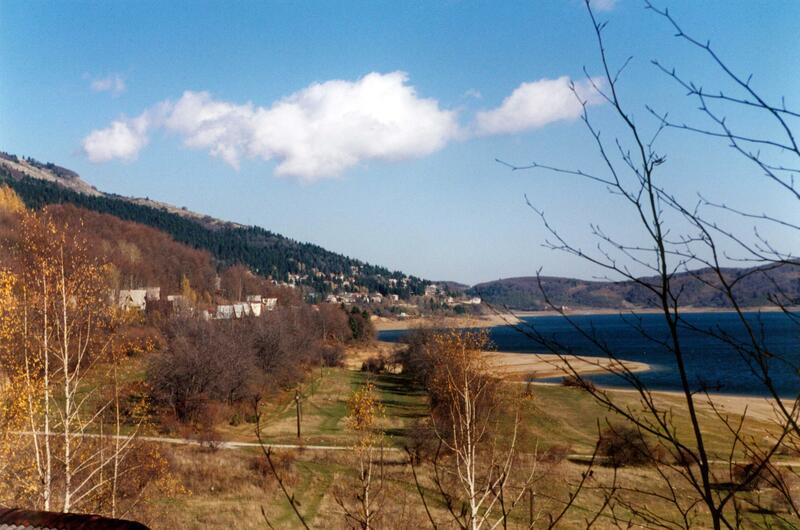 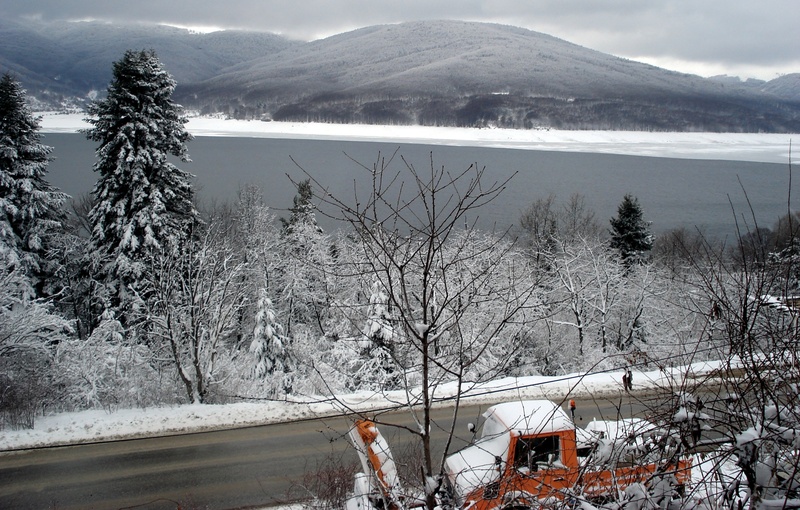 Lake Mavrovo, adjacent to the town for which it is named, is a popular destination for recreation in all seasons. 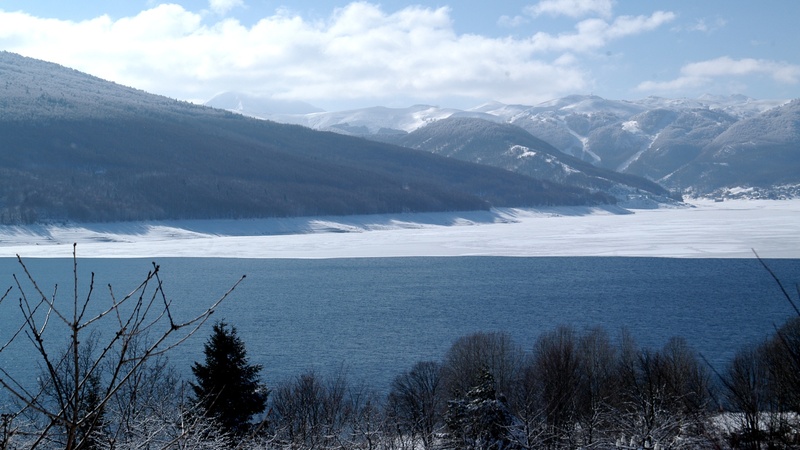 The lake is located in the Mavrovo valley and was created by damming the Mavrovo River. 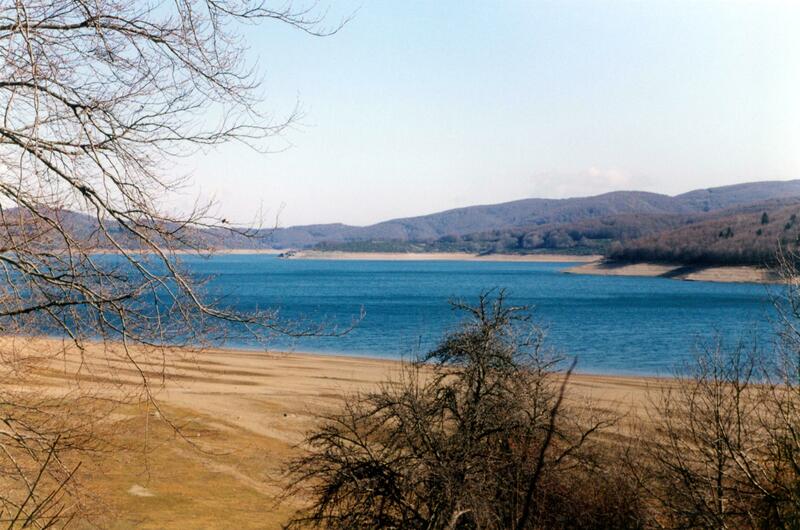 The lake is 10 kilometers (6 miles) long and at it’s the widest breadth is 5 kilometers (3 miles). 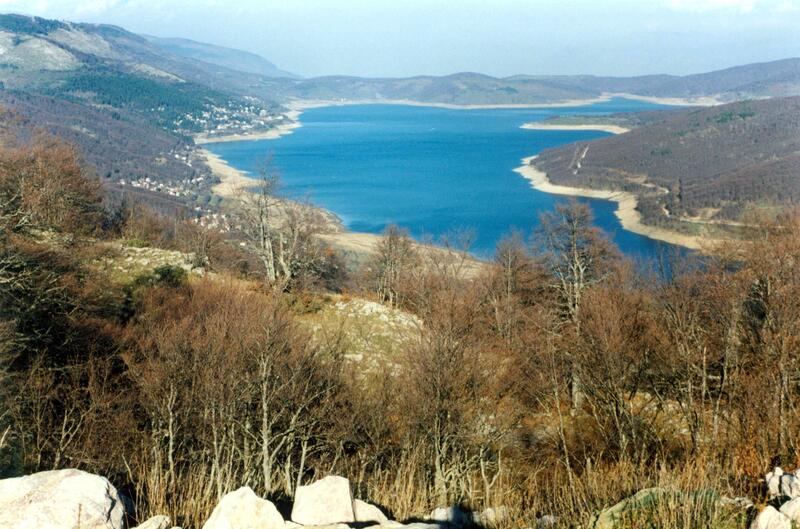 We first saw the lake on our way to the village of Galičnik (Galichnik). 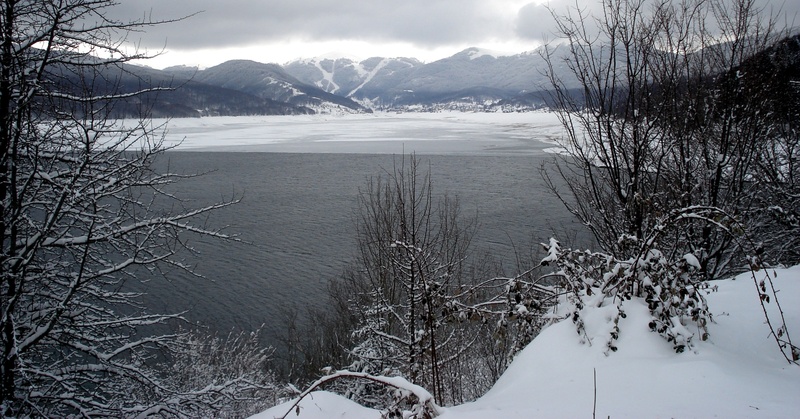 Later years, we would visit in all seasons and once we stayed in one of the mountain villas and enjoyed sledding family fun. 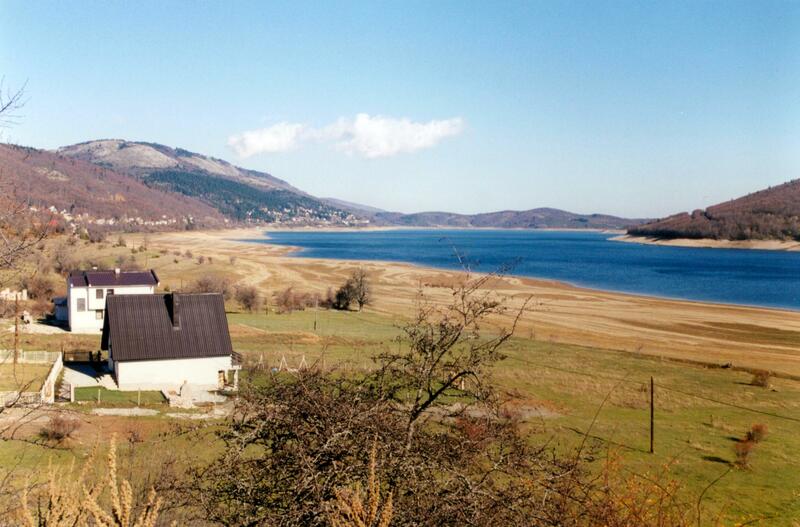 The level of the lake varies throughout the years and when the water is high, you can see the old church of Sveti Nikola surrounded by the lake.